Osman İşmen from Istanbul for World/world fusion/ethno-jazz. Born in Istanbul in 1952. He started playing piano at the age of five. After graduating from the Faculty of Business, he became involved with music. In 1978, İşmen released his first album “Diskomatik Katibim” and received the prize of "Best Arranger of the Year". It was followed by “Disco Madımak” (1979) and “Disco Türkü” (1980), which was prepared with the Kısa Dalga Vocal Group. As well as preparing albums, İşmen arranged music for Nükhet Duru, Sezen Aksu, Ferdi Özbeğen, Nilüfer, Tanju Okan, Erol Evgin, Ahmet Kaya, İbrahim Tatlıses and Muazzez Ersoy. İşmen also gave many concerts with orchestras in Turkey and abroad. His song “Kare” was placed in the famous CD "Buddha Bar series 3". 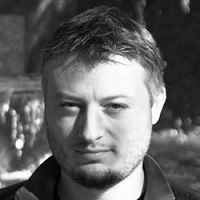 Since 1998, İşmen has put jazz music in his albums.